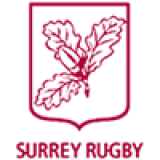 Surrey Rugby are pleased to welcome Louise Meadows to our County Coaching Team. Louise will become the new Director of Rugby (DoR) for the men's county teams. Her role is as a mentor and leadership DoR, focusing on the development and support of her coaching team from the under 15's to senior men. Louise is currently Head of Rugby at Strode's Sixth Form College, London & South East England U20's Head Coach, Wyvern Harlequins Elite Men's Invitational 7's Head Coach and was previously at London Scottish Senior Academy as a defence backs coach. We are so excited to have Louise as our DoR and are sure our coaches will learn, develop and grow under her guidance.